Game 1 of the World Series shaped up to be as much of a pitcher’s duel as we’ll see in the first four games of the series, with two left-handed aces on the mound in Clayton Kershaw for the Dodgers and Chris Sale for the Red Sox. So, because baseball gonna baseball, both pitchers were bad. While Kershaw suffered from some rough batted-ball luck, he gave up seven hits and five earned runs in four innings. The Red Sox took a 5-4 lead into the bottom of the fifth, and Los Angeles manager Dave Roberts chose to bring in left-handed Alex Wood in the bullpen to replace right-hander Pedro Baez. 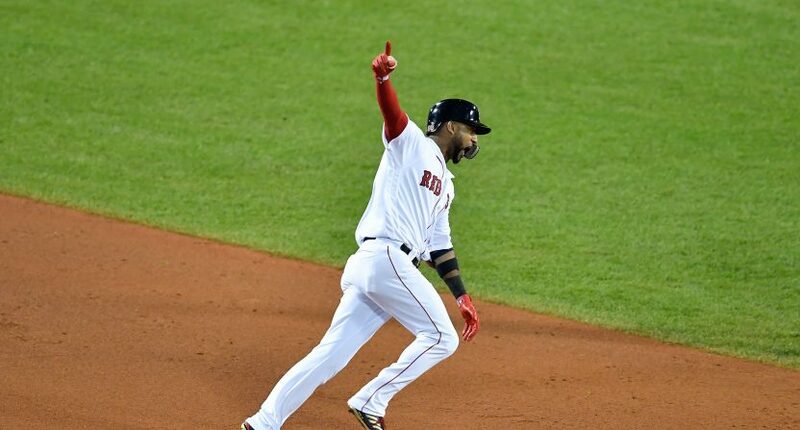 Roberts’ thinking was that left-handed hitter Rafael Devers was at the plate, but Red Sox manager Alex Cora countered with right-handed Eduardo Núñez off the bench. Cora came out the clear winner in that game of managerial chess. Núñez smoked a 1-0 offering from Wood over the Green Monster for a three-run homer to give the Red Sox an 8-4 lead. That would serve as the final score. Game 2 is on Wednesday night in another matchup of left-handers, with David Price taking the mound for the Red Sox and Hyun-Jin Ryu for the Dodgers. This is obviously a huge game for the Dodgers; falling behind 2-0 would of course require beating a 108-win team four times in five games.